Do you have, or are you thinking of adding, a pressure treated wood deck to your Raleigh, Durham, or Chapel Hill area home? 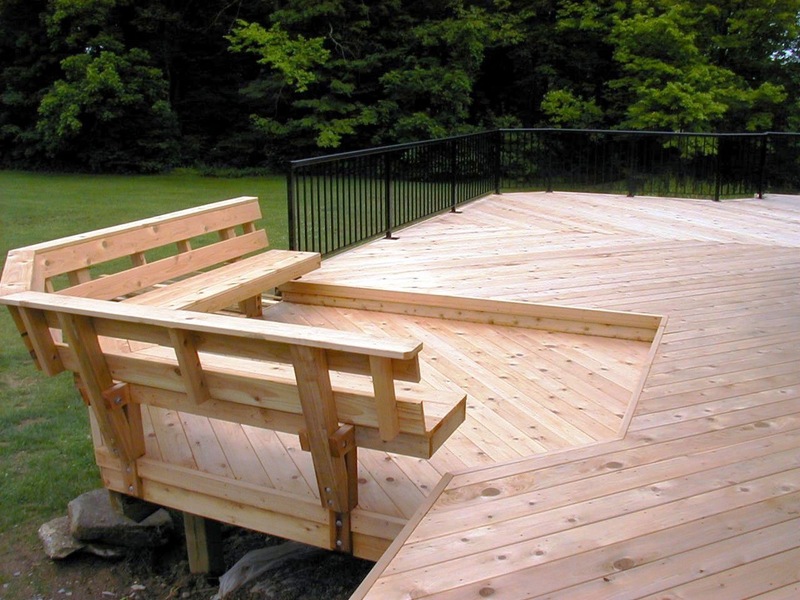 Pressure treated wood is an excellent choice if you want the most natural look in your deck materials. It’s also more affordable than composite decking and is easier to replace or repaint, especially if you want to change the color or need to make repairs in the future. If you want to maximize your investment in a pressure treated wood deck, you’ll need to seal it to protect it from UV rays, moisture, and other weather elements. This is done after the deck is completed and is separate from the design and construction phases. Below is a list of answers to the top questions Raleigh area deck homeowners have about weatherproofing outdoor living structures. Preparation is the key to success; so reading this now can help you understand what is needed before you begin the process of staining or sealing your pressure treated wood deck. 1. What is the difference between staining and sealing a deck? Generally speaking, sealant is a clear material that prevents moisture from penetrating wood and helps preserve the deck’s natural look. Stains have added pigments that penetrate and color the wood and provide protection against fading from UV exposure. (The darker the tint, the greater the protection against fading.) There are also combination products available that add UV protection to a clear sealant. 2. Why is water protection important? Wet weather such as morning dew, rain, and melting ice or snow can be quickly absorbed by unprotected wood, causing it to soften or swell. Persistent exposure to heavy rains, humidity or shade cover can also lead to mildew or mold. 3. Why is UV protection important? Have you ever seen a wood deck that has turned gray? That graying is due to exposure to UV rays over time. Just as it’s important to apply sunscreen to take care of your skin when you’re enjoying the beach or outdoors, your deck needs similar protection. In addition to discoloration, excessive sun exposure can also lead to warping (particularly if the deck is not also protected from moisture and the boards expand and contract continuously over time). 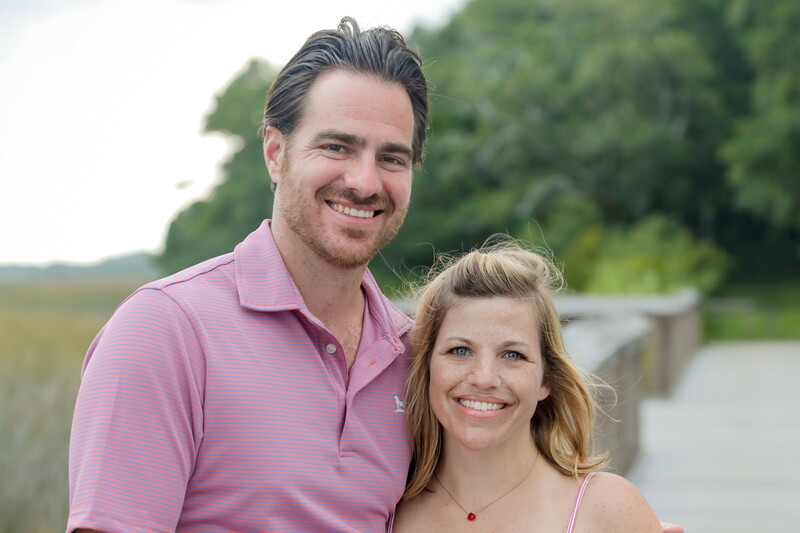 In the Raleigh Durham area, UV protection is important as we enjoy 213 sunny days per year, on average. 4. When should I seal or stain my new deck? For new structures, you need to wait to seal or stain your deck until after construction is complete and the pressure treated wood is completely dry. (In most cases, decks will need to be pressure washed after construction.) 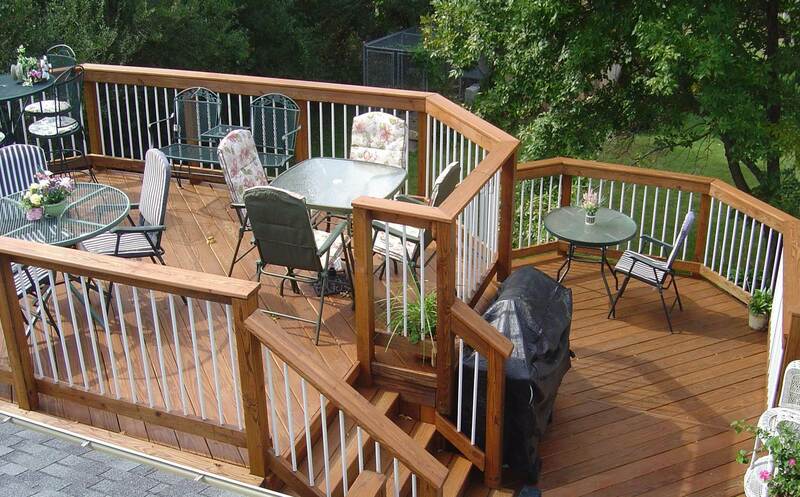 Drying time varies, depending on the amount of sun or shade that your new deck receives. Generally, a good test is to put a few drops of water on the deck. If the water absorbs into the wood, then it should be ready. 5. If I have an existing deck that is already sealed or stained, how do I know when I need to do repeat the process? If you have an existing deck that is already stained, you will likely want to re-stain it once it starts to look faded and less attractive. If you have an existing deck that is already sealed, place a few drops of water on the deck. If the water does not bead up on the surface, it may be time to seal it again. Homes surrounded by trees with very little exposure to the sun may only require staining and sealing every few years. However, if there is an abundance of leaves and pollen, your deck may need to be cleaned more regularly. Conversely, a deck that is in the open and faces south, may get lots of weathering from the constant sun and need staining and/or sealing annually. 6. How much time do I need for staining or sealing my deck? You will need 48 hours of dry weather once the stain or sealant has been applied to allow the application to fully set. Given this, it is helpful to allow three days for your project: one full day for applying the stain or sealant and two full days for drying. If you are re-staining or re-sealing an existing deck or porch, add a few extra days to the start of your project to prepare the deck for treatment. 7. How do I prepare my deck for staining or sealing? Prepare your deck for staining or sealing by cleaning it with a power washer and cleaner. A clean deck can absorb the sealant better for longer lasting protection. Cleaning your deck once a year helps it last longer too, even if it is not time to seal it. You can scrub tough spots, but try to avoid wire brushes, as they can cause rust. Make sure you read the instructions carefully on the cleaner you choose, as some are not safe for soft woods like Cedar or Redwood decks. We recommend cleaning your deck several days before you plan to stain or seal your deck. It will need a good couple of days to fully dry out. 9. What kind of weather is best for staining or sealing my deck? Ideally, you want dry weather and mild temperatures (between 45-85°F, with 60-80°F as the ideal range) for the staining or sealing process. Humid weather can extend drying time. Cold and very hot temperatures (or applying the product in direct sunlight) can also affect how a stain or clear sealant dries and sets, potentially leaving your deck looking spotted or with inconsistent coloring. If you must seal or stain your deck in the fall, try to do it early or late enough to avoid leaves falling on top of the application before it dries. 10. What are some best practices for applying stain or sealant? Use a stain brush and apply a thin layer of sealant in the direction of the boards. Pay close attention to corners, railings, and board ends and cracks. Begin in one corner and work away from the home and towards the entry point of the deck. You don’t want to find after you finish you have “painted yourself into a corner” and now have to walk through your newly stained deck! The best piece of advice for painting is to simply take your time. Doing this will allow you to pay close attention to details and have a really beautiful finish on the deck once completed. And don’t forget: Your deck will need a full 48 hours after sealing or staining before you replace any deck furniture or get the surface wet.